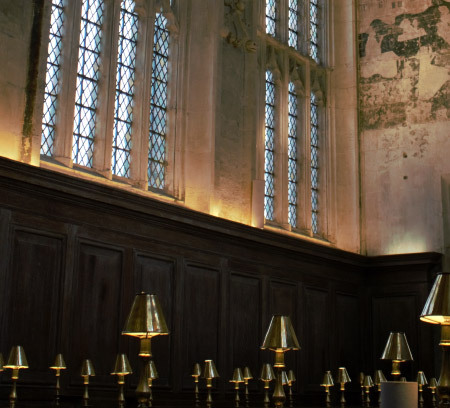 THE CHAMPAGNE corks have been popping once again for the team at Stratford’s Guild Chapel – this time winning a prestigious prize at the 2019 UK Heritage Awards. 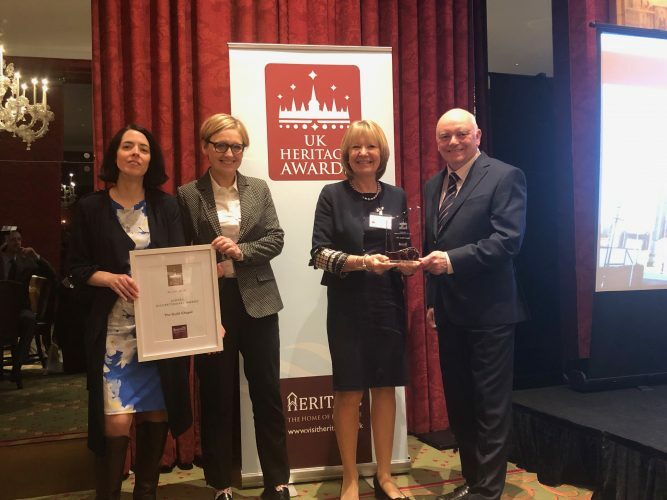 The awards were handed out at an exclusive ceremony celebrating the best heritage experiences and places to stay in the UK, hosted at Grocer’s Hall in London on 25th March. The UK Heritage Awards are arranged by the UK’s leading heritage, tourism and destination marketing company, Visit Heritage, publisher of best-selling heritage guide Hudson’s and the UK’s independent hotel guide, Signpost. William Sitwell – Independent Heritage property owner of Weston Hall and food writer, critic and broadcaster. The Guild Chapel, one of Stratford’s oldest and most important historic buildings with a history dating back to the 13th century, won the Judges Discretionary Award, picking up praise for the ongoing conservation and education work surrounding its medieval wall paintings – some of the finest surviving in Europe. In 2018, the Guild Chapel won the prestigious annual prize awarded by the Society for the Protection of Ancient Buildings – the Sir John Betjeman Award. Earlier this year, the Chapel was commended in the Historic England Angel Awards. And in February, its volunteer guides were named Team of the Year at the Pride of Stratford Awards. Sara Aspley, Chief Executive of Stratford Town Trust, custodian of the Guild Chapel, and Pippa Brook, Volunteer Coordinator for the Guild Chapel, were in London to collect the UK Heritage Award trophy. The Chapel is open daily, free of charge with donations welcomed.